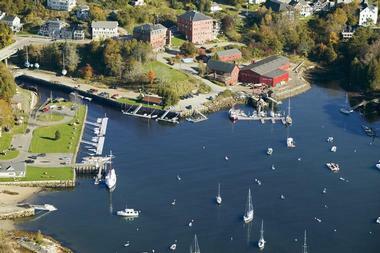 High above the harbor on nearby Mount Battie stands the best place to see just how beautiful Camden, Maine, is. This scenic lookout at the rocky top of Mount Battie looks like it is guarding the lovely little seaport and its quaint harbor in Penobscot Bay, dotted by sailboats of all sizes and colors. Camden, ME, is even more beautiful in the fall when the trees around the city perform their full colorful show. Here are the best things to do in Camden, Maine. A pleasant and easy two hour hike up the Camden Hills that loom above the charming harbor village of Camden will take you to the verdant 5,700 acre Camden Hills State Park. Offering 30 miles of hiking trails through the forests and wonderful views of surrounding lakes and hills on every corner, this park is the perfect spot for a day of outdoor adventure. Visitors can even bring a packed lunch to enjoy at the well-maintained campground which features a spacious picnic area for families. 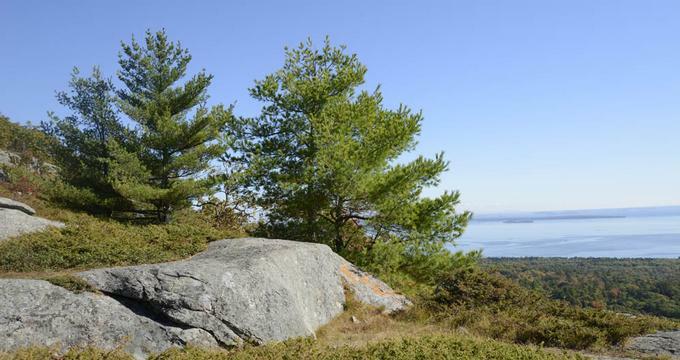 The Maiden's Cliff Trail provides wonderful views of scenic Megunticook Lake, and the park's 800 foot rocky summit Mount Battie offers breathtaking views of Penobscot Bay and the nearby islands. The view is said to have been the inspiration for Edna St. Vincent Millay's renowned poem "Renascence." Camden Harbor Park and Amphitheatre are two beautiful parks in Camden, located on the grounds of the city's stately Public Library, just off Main Street. The amphitheater is the centerpiece of the library's grounds and was designed by renowned landscape architect Fletcher Steele. Harbor Park is a 2 acre naturalistic park located just across Atlantic Avenue designed by the Olmsted Brothers between 1928 and 1935. The park continues the magnificent views of the harbor and the bay from the Amphitheatre. The parks were given as a gift in 1931 to the Town of Camden by the philanthropist Mary Louise Curtis Bok Zimbalist to add to the renovated Camden Library. 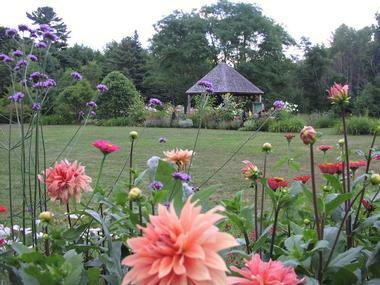 Serene, beautifully tended gardens are popular for just about any social event in Camden, from picnics, weddings, graduations and craft fairs to concerts, festivals and theater productions. Both parks are on the National Register of Historic Places. Just a short drive from the charming and tourist-friendly village of Camden, serene Megunticook Lake is snuggled at the base of the Camden Hills. Only three miles from the Camden harbor, at the east end of the lake is Barrett's Cove Beach, a lovely spot for picnicking and swimming that is seldom crowded. The beach has a shallow area for kids and a diving platform floating in the lake. Keep in mind that there are no lifeguards. There is a nice grassy picnic area with tables and grills and a boat launch around the cove, for those who want to explore the lake by kayak or boat. 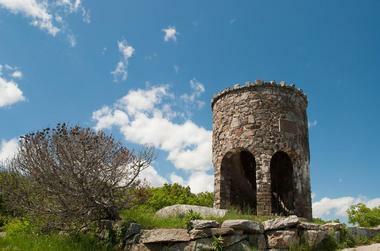 From the beach you can enjoy breathtaking views of the rugged coastal cliffs as they drop into the sea on the western slope of Mount Battie, the highest peak of Camden Hills. Merryspring Nature Center is a nature-lovers paradise. This 66 acre park is open to visitors for free from sunrise to sunset every day. Guests can stroll through the park's beautiful specialty gardens, which feature plants such as herbs, roses, daylilies, annuals and perennials, or take a hike on one of ten nature trails that wind throughout the preserve. Merryspring is also a non-profit educational center that features weekly talks on such topics as local plants and wildlife, beekeeping, gardening and more. Guests can also enjoy seeing and learning about the native plants, wildlife and birds of Maine at Merryspring. At the Camden Opera House, history, art and culture all combine for one incredible experience. This 500 seat auditorium is over 120 years old and features beautiful Victorian-era details such as antique moldings, gilt stenciling and large chandeliers. The venue hosts a variety entertainment, including ballets, musicals, comedians, films and classical music concerts. The Camden Opera House is owned by the city of Camden and is a featured part of the one-hour Walking Tour of Camden. Event tickets are available through the box office or can be purchased online or by phone. The Camden Snow Bowl is the place to be for outdoor fun, all year-round. 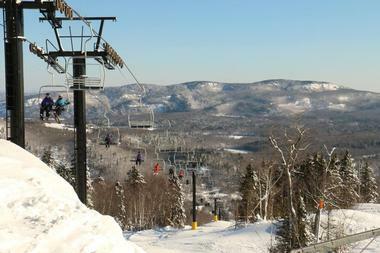 In the winter months, guests can enjoy skiing, snowboarding, tobogganing and snowshoeing on 5 miles of trails and 20 ski runs of various levels of difficulty. In the summer months, the Snow Bowl becomes a warm, green mountain forest perfect for hiking, biking, tennis, baseball and softball. Boating and fishing on Hosmer Pond are also available, and The Snow Bowl offers camps for children during the summer. The Snow Bowl Lodge seats 100-150 people and is perfect for wedding receptions, parties and family reunions. The Schooner Surprise is a historic schooner ship harbored in Camden, Maine. This 57-foot racing ship was built in 1918 and had a distinguished racing and sailing career before being added to the National Register of Historic Places in 1991. The Schooner Olad is a historic sailing yacht built in 1927. The Olad is housed in Camden, Maine and offers two-hour tours daily during the summer and fall months. 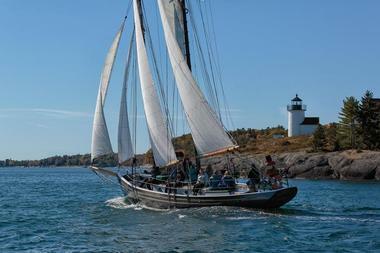 Passengers on tours of Penobscot Bay aboard the Olad will see sights such as bald eagles, lighthouses, small islands, other ships and the beautiful, rocky shoreline of Maine. Mike Kenney is your man if you're interested in getting the most out of your time in the great outdoors of Maine. 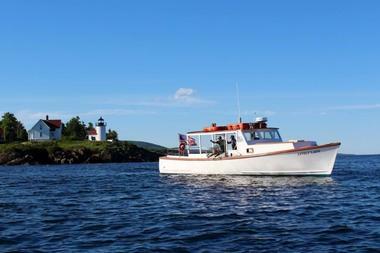 He offers canoeing, fishing and camping all over northern and coastal Maine. His goal is not only to help you catch big fish, but to teach visitors more about Maine's waters, hills and woods and give them memories that will last a lifetime. Take a trip back to a simpler time at Uncle Willy's Candy Shoppe. The candy shop is housed in an old-fashioned building and is a fun, happy place for children and adults. Uncle Willy's offers both modern and classic candies such as lollipops and suckers, jelly beans, gumballs, bubble gum and taffy. Uncle Willy's also makes their own fudge and chocolates in-house. 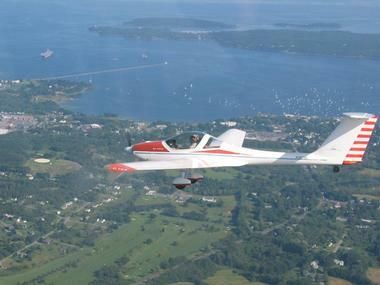 Enjoy breathtaking views of the Maine Coast with Spirit Soaring Glider Rides. Spirit Soaring offers private, chartered glider rides of varying lengths over different parts of the Maine coast. Take a half hour ride over beautiful, rugged Penobscot Bay, or take an hour-long ride with excellent views of the horizon in every direction! 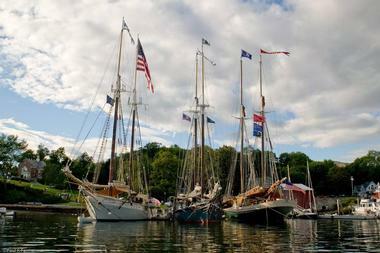 The Camden Windjammer Festival is a showcase of Camden's rich maritime history. From sailboats to schooners and yachts, sailing and boating have always been a big part of the Camden community. You don't have to be an experienced sailor to enjoy the festival since there are activities for all ages and experience levels. All guests can enjoy the parade of boats on Sunday afternoon. Children and adults can try their hand at basic sailing skills such as raising a sail, knot tying or course reading. There is even a “build your own boat” contest with materials supplied by local businesses. 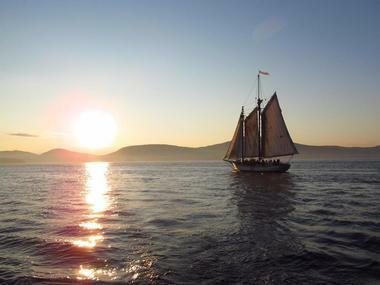 Explore the beautiful coast of Penobscot Bay aboard the “Lively Lady,” a wooden vessel that is harbored in beautiful Camden, Maine. Camden Harbor cruises offers a variety of trips, including lighthouse tours and beautiful sunset cruises around the harbor. Morning cruises are perfect for children, and the ship's crew loves letting kids explore the boat and see what's in the lobster traps in a comfortable, safe environment. Eco-tours let guests travel to a remote seal habitat in the bay and see fascinating wildlife such as seals, eagles, porpoises and various kinds of fish. The Lively Lady can also be chartered for private tours and wedding events. Located in a beautiful New England Victorian inn with spectacular views of the old Windjammers that sway in the shimmering harbor of Camden, Natalie's is a sophisticated restaurant that brings to mind elegant Parisian dining rooms. A stylish bar is illuminated by vintage chandeliers and the elegant, bright red dining room with sparkling white linens and dark wood is glamorous and inviting. The best seat in the house is on the wide, airy porch that overlooks the harbor. Executive Chefs Chris Long and Shelby Stevens offer globally inspired, contemporary cuisine that uses seasonal local ingredients focusing on locally caught fish and shellfish, greens, herbs, fruits and berries from nearby farms, as well as cheese and butter from local dairies. 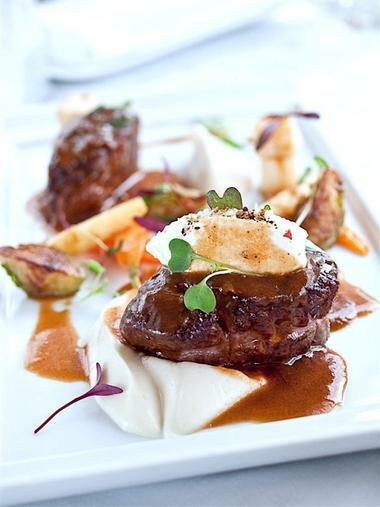 The result is original, modern fine cuisine paired with a fine selection of wines from all over the world.